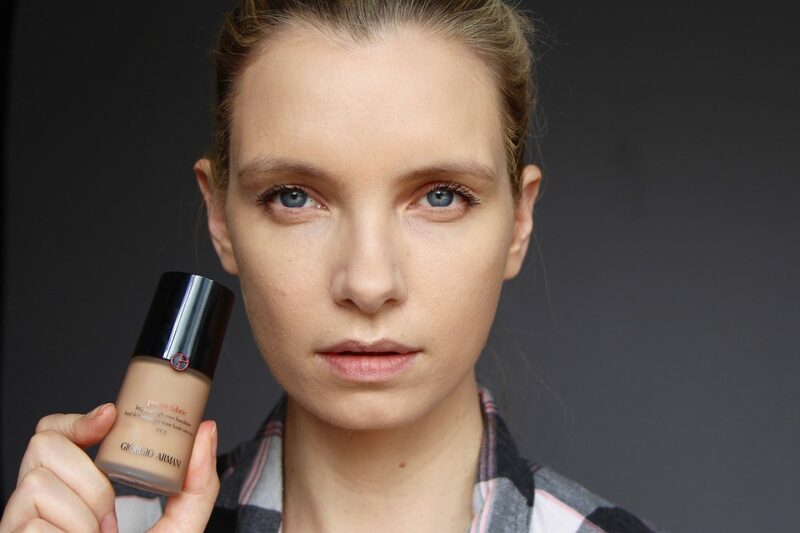 I’ve been testing out Armani’s Power Fabric foundation – very thoroughly, as it happens, because I’ve been trying to film quite a bit of content for Youtube and so I’ve needed a fuller base. 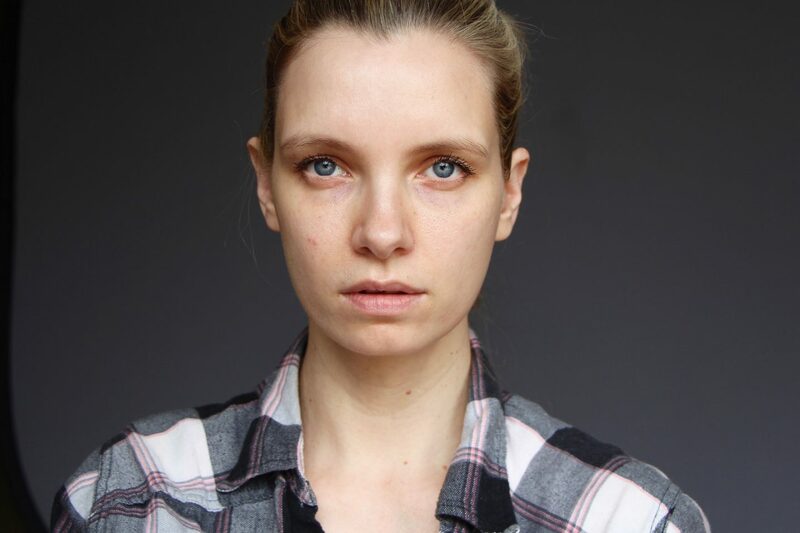 As you know, I’m not the greatest lover of high coverage, longwear foundations – I’ll usually grab something slightly more natural looking and glowy unless I’m filming a specific makeup look – but this one isn’t your typical take-it-off-with-a-chisel, polyfilla-esque complexion-coverer. For a start, the coverage isn’t quite as heavy as something like Double Wear – it’s full, but it’s not a “blank it all out” foundation. I like that – some of the life is left in the skin. It looks perfected, but not overdone, and what’s astonishing is how little of the product you can get away with using to achieve such a beautiful finish. It looks very polished and pulled-together, but you don’t have to load the skin with a tonne of claggy base. 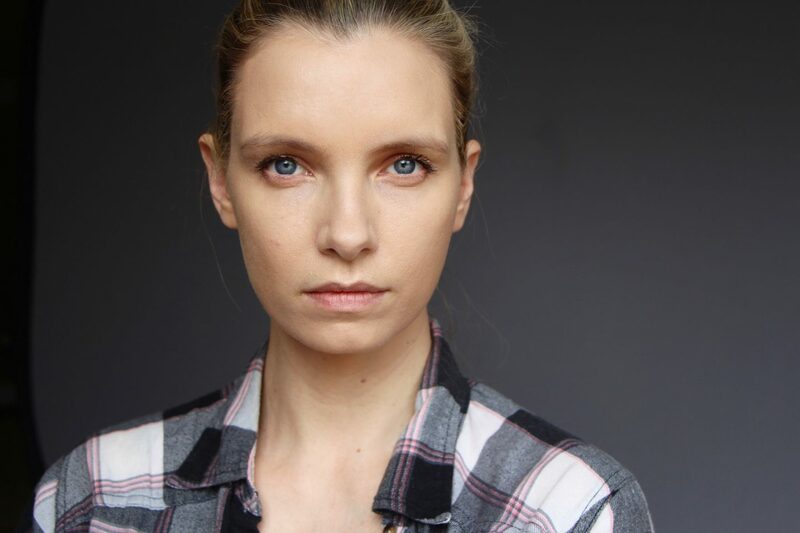 There’s none of the dryness that you might usually find with a longwear foundation – some of them can cling awfully to flaky bits, if you don’t prep your skin well, or they can gather around the nose and chin and look cakey and wrong. Not a problem with Power Fabric: the only time I had unevenness was when I hadn’t blended quickly enough on my cheek and it went slightly patchy. I think that the key is to work reasonably fast with a sponge or a stipply sort of foundation brush (I found the Real Techniques Buffing Brush* to be a good match for Power Fabric); when I’ve used a flatter brush I’ve found that the product has laid down too thickly. And there’s absolutely no need to lay this down heavily – the beauty of it is in its relative lightness. You can see that the finish is lovely and velvety – not a powdery matte, just soft and slightly radiant. 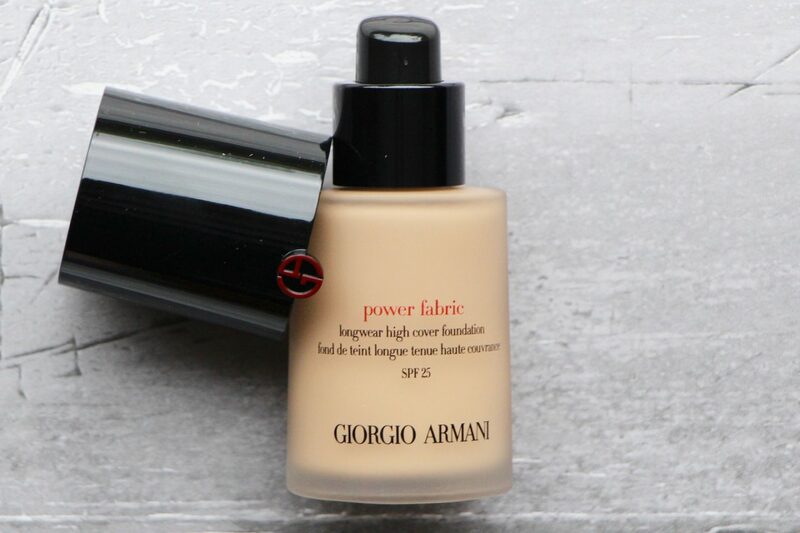 And this really is a longwear foundation; I’ve seen some online reviews saying that Power Fabric doesn’t last, but I’ve tested it out for twelve hours or more on a number of occasions and it has stayed put extremely well. I like Power Fabric a lot; it’s a nice (though relatively pricey) introduction to high coverage foundations if you’ve never tried one before. It has good longevity and it has very decent coverage, but with less of the pitfalls usually associated with a full coverage base. I’m generalising here, but they can be hard to blend, quick to set (and then difficult to adjust!) and they can have a deadened, flat look on the skin. Although you do have to take special care to blend this well (it’s best to work fast with a little bit of product and build it up rather than slap on a layer) to avoid mistakes, the finish is far from flat. Admittedly I find the cushion versions of Dior’s Forever and Lancome’s Teint Idole easier to apply, but I think that perhaps that’s because you pick up less product when you press a brush into a cushion foundation, so you sort of lightly “stipple” the product on, which results in a more even finish. I’ll have to put that theory to the test! Both of the aforementioned bases are comparable in terms of coverage and longevity, and I’d say, tentatively, that they have a smidgen more glow. Have you tried Power Fabric? What do you think? You can find it at Selfridges here* if you want to take a look online – it’s £40. I used shade 4 for the photos above.